What just happened? There's fast, then there's record-setting, scary fast. The Turbinator II, a turbine-powered car from Team Vesco, certainly falls into the latter category. The team recently achieved its goal of 500 mph and now believes 600 mph is plausible. In the automotive world, the word “fast” is relative. What’s deemed fast to one person based on personal experience may feel slow to someone else simply because they’ve been much faster. In the case of the Turbinator II, however, I think we can all agree that the term “fast” is an accurate description. 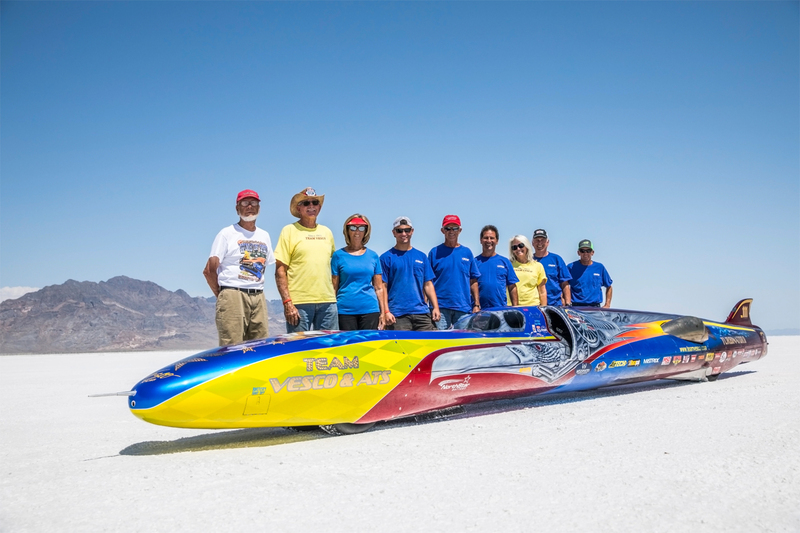 During a run at the Bonneville Salt Flats in Utah earlier this month, Team Vesco hit a blistering top speed of 503.332 mph in its turbine-powered racer. Unlike other land-speed record cars, the Turbinator II sends its power directly to the vehicle’s wheels, making it the world’s fastest wheel-driven vehicle. Speaking of power, the vehicle is driven by a Lycoming T55 turbine engine out of a CH-47 Chinook helicopter. According to Digital Trends, it produces 5,000 horsepower. Unfortunately, the team wasn’t able to set a new world record as land-speed records require the average of two runs and weather conditions prevented the crew from making a second pass.